Take your perfect ride even further with a huge choice of genuine Triumph luggage items that have each been designed especially for your motorcycle. Triumph luggage and Triumph accessories are designed here by riders, for riders. Our highly qualified engineers ensure a perfect fit, seamless compatibility, and uncompromising safety standards. As well as the luggage items below, our website has more information on the full range of accessories, so once you’ve chosen your favourite luggage items, simply order from your local Triumph motorcycle dealership and enjoy your ride even more. 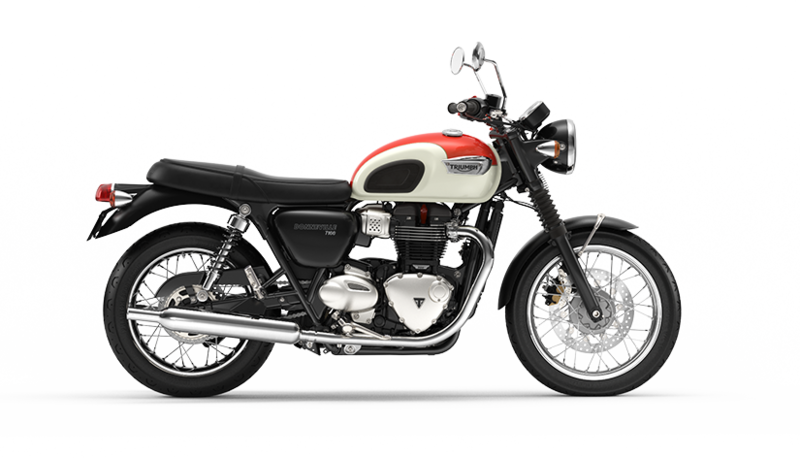 All Triumph luggage and accessories are engineered and tested alongside our bikes and, just like Triumph motorbikes themselves, they come with a 2-year warranty for even greater peace of mind. Each item’s rigorous quality testing is a key part of a development process that can include stability testing, overload testing, mileage testing and pavé-accelerated durability testing (plus many more). As a result, such high standards are part of what makes Triumph luggage the perfect enhancements to your perfect ride. With a combined 27.6-litre capacity, these water-repellent panniers are made from durable leather and waxed cotton, and come with mounting harness for a perfect fit. When authentic styling and details matter, our contemporary accessories provide an exceptional finishing touch with enhanced practicality. Robust weatherproof Adventure Top Box with a large 35-litre capacity big enough to hold a full face helmet. This item is powered, and is available across both Tiger 1200 and 800 ranges. Add to your touring capability with Triumph adventure luggage designed to meet all the rigours of the most epic of journeys. A super-convenient mechanism that attaches to your tank and enables quick and easy fitting and release for a Triumph tank bag, securely holding it in place while allowing full access to your fuel cap. Maximum practical capability and style. For all our very latest luggage offers, contact your local Triumph dealership.